We love getting orders for sailfish at New Wave Taxidermy. 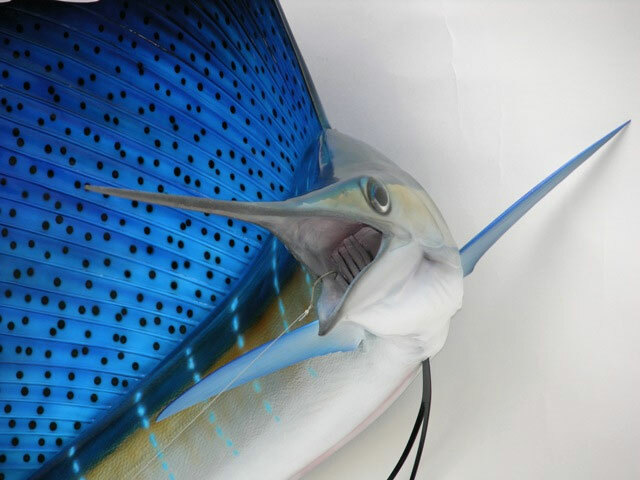 They put up such a fight and are such a beautiful fish that they are a highly prized game fish. 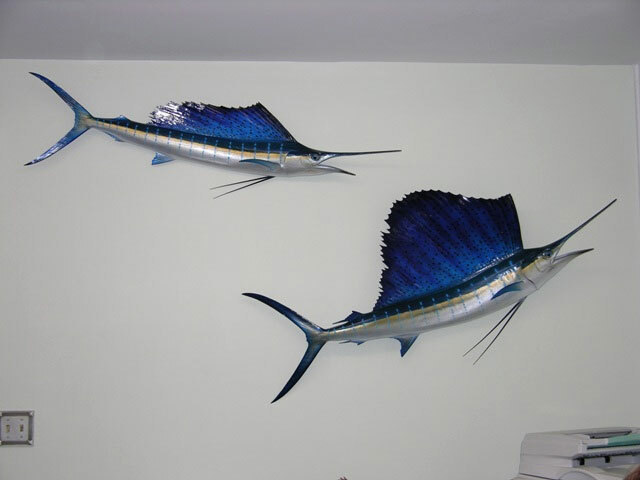 Needless to say, they commonly end up mounted on the wall. 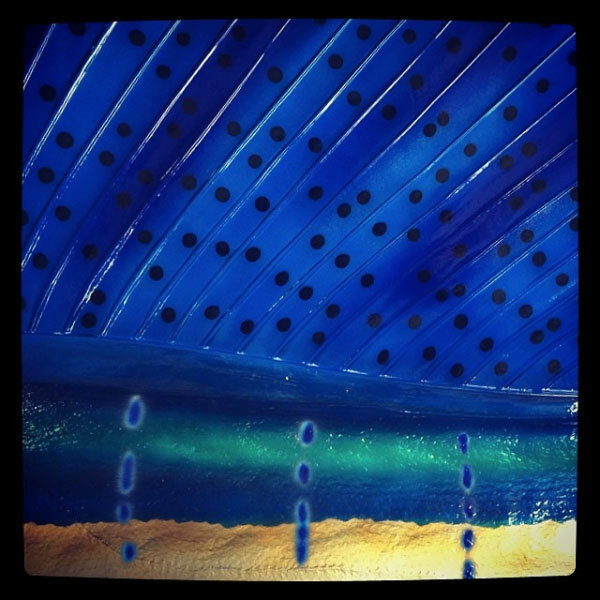 And that’s where New Wave comes in. 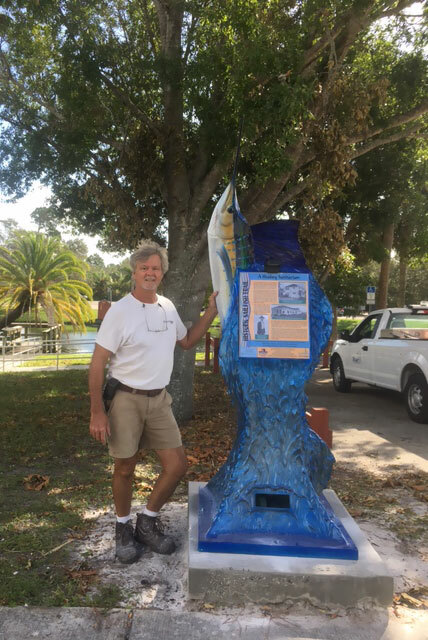 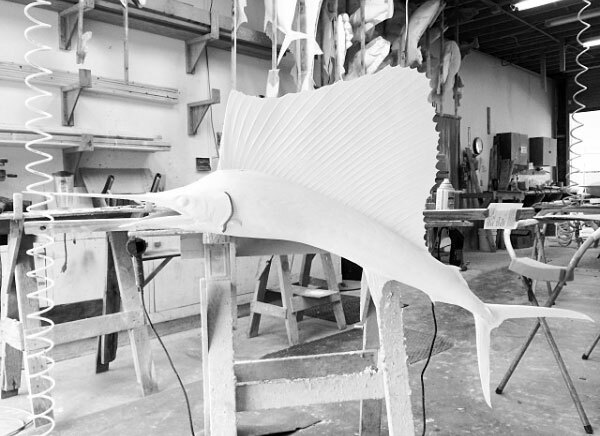 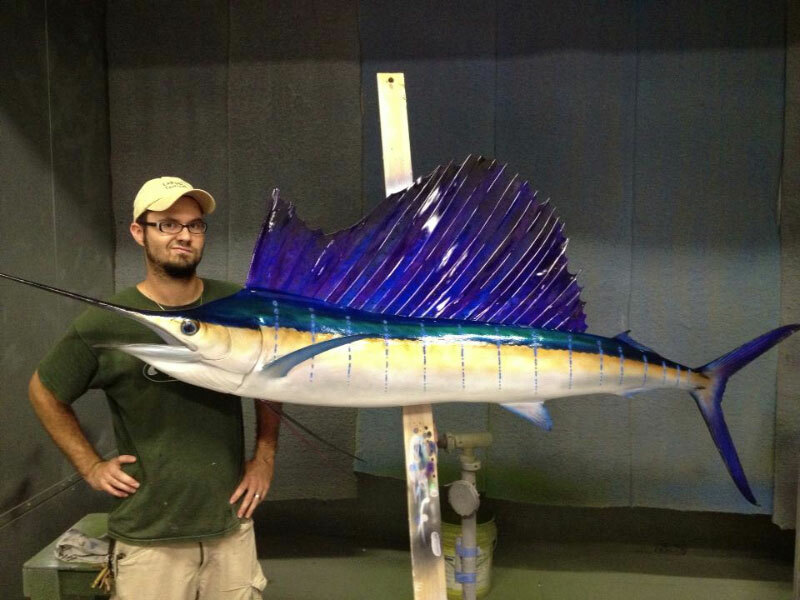 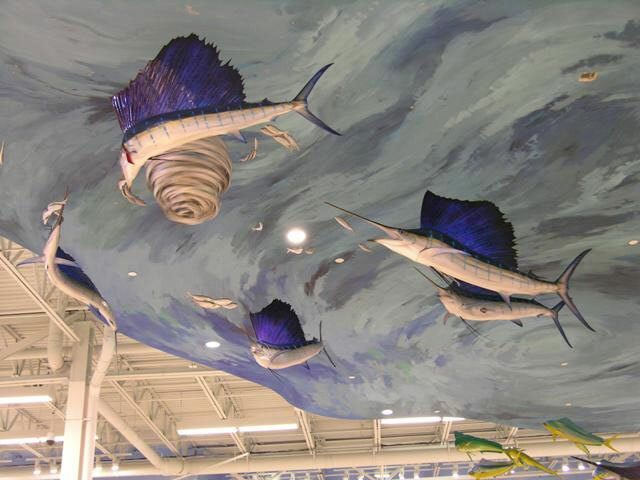 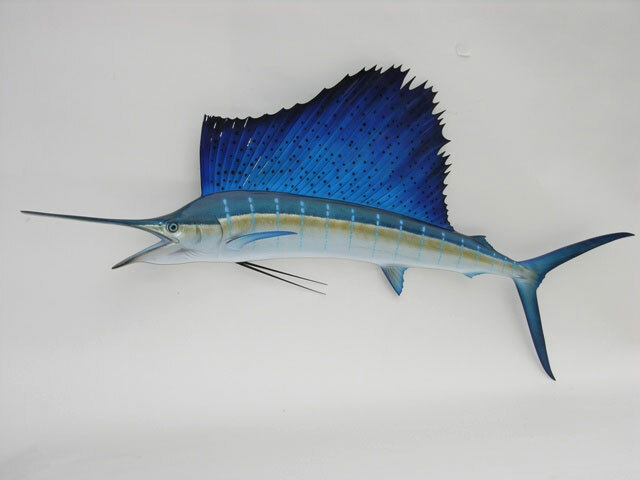 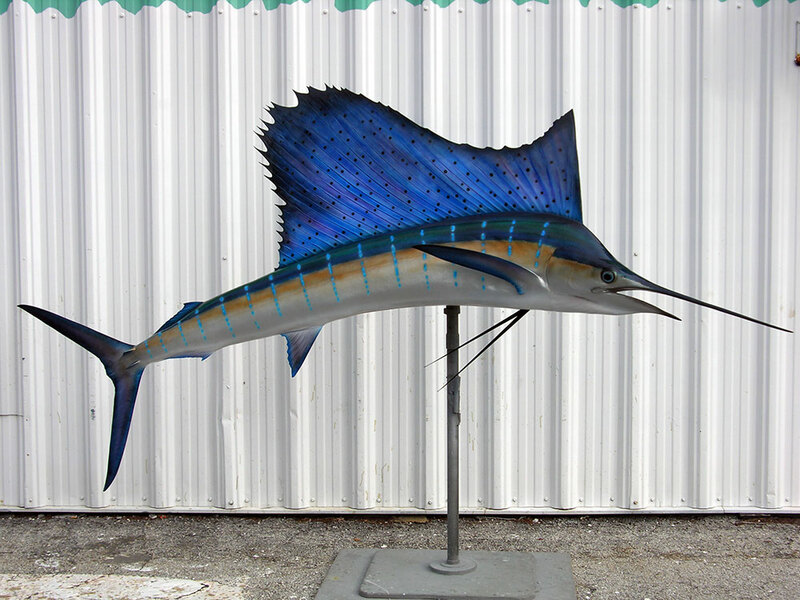 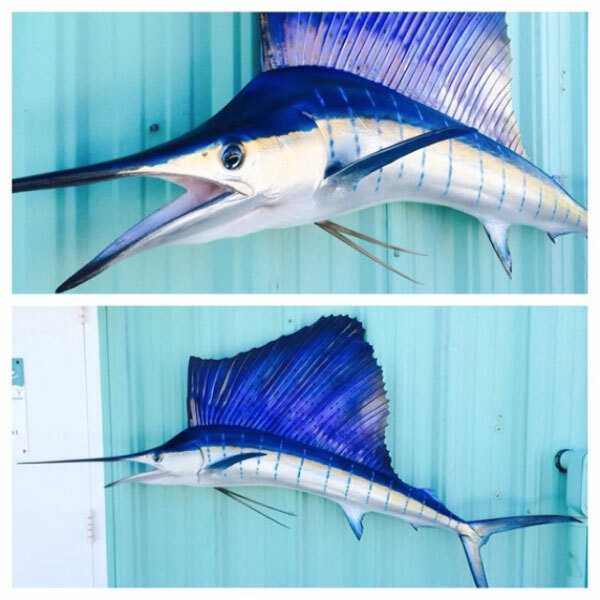 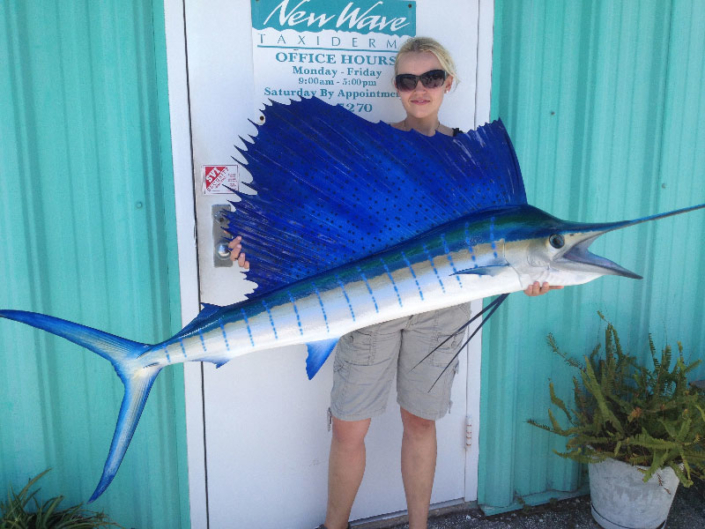 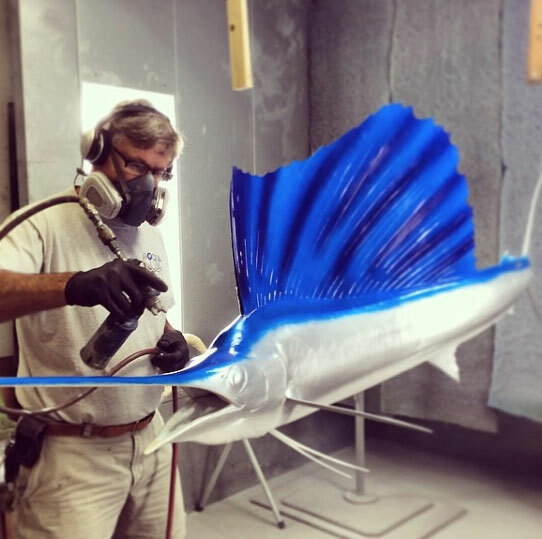 Many replica sailfish mounts have been produced at New Wave Taxidermy over the years. 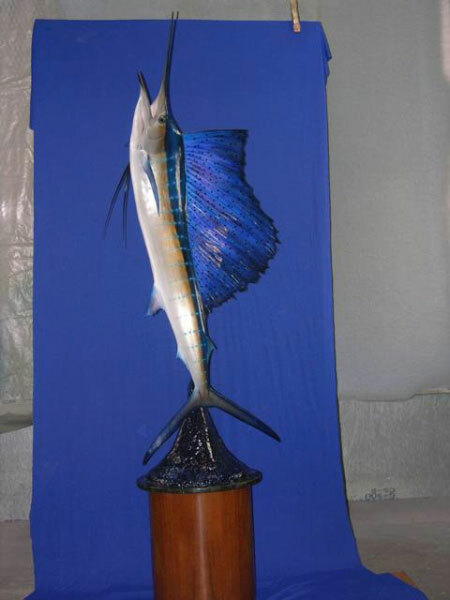 Not just Atlantic sailfish mounts but Pacific sailfish mounts as well. 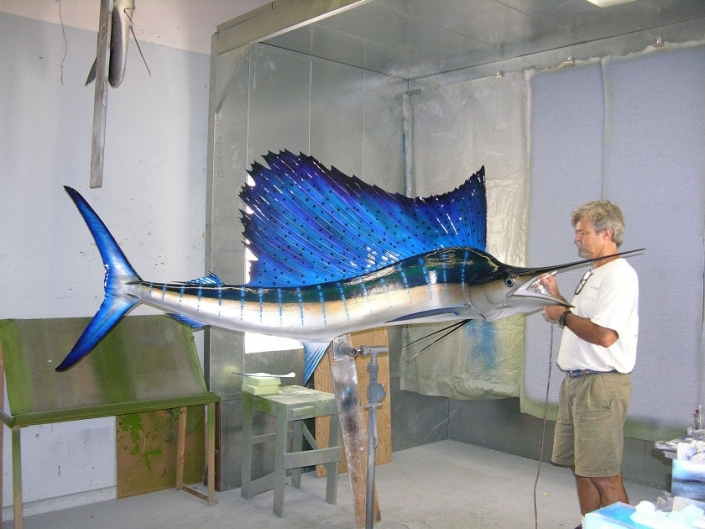 We have the experience and the expertise to create a world class mount we proudly sign our name to. 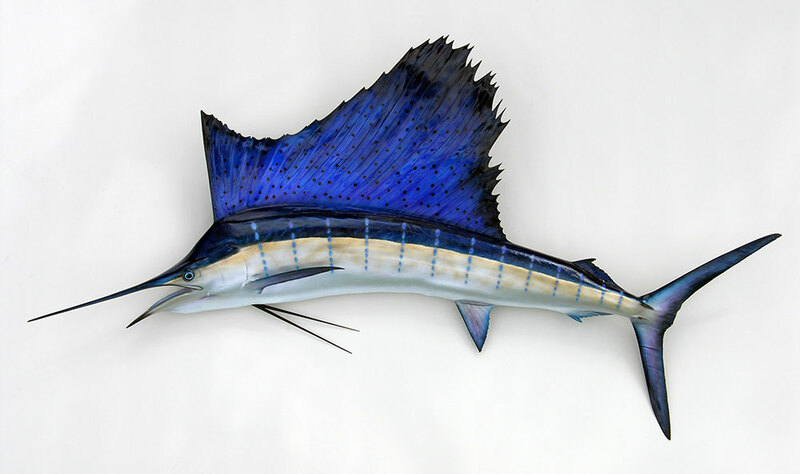 Though not usually eaten, sailfish are one of the most sought after fish in the ocean. 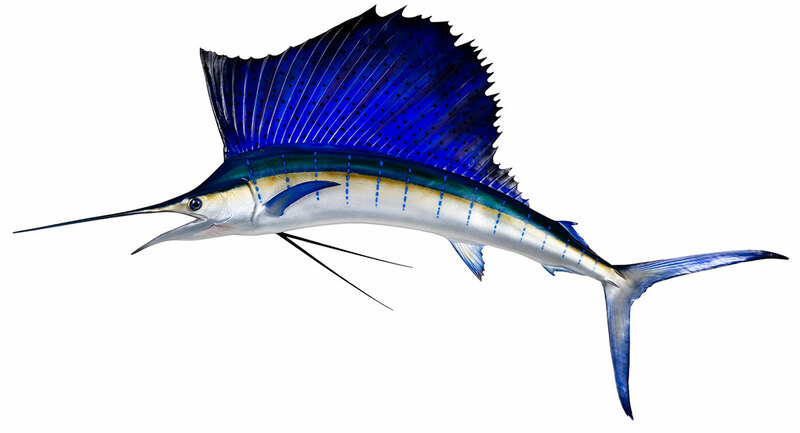 Powerful and extremely fast, they are known for jumping, diving, and putting up a heck of a fight. 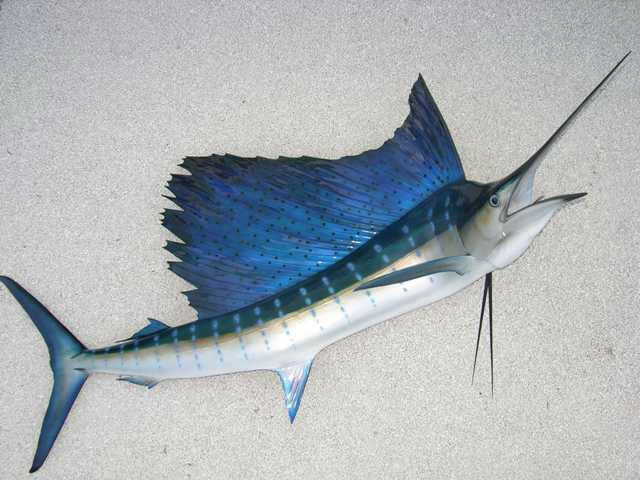 Sailfish are members of the billfish family and are generally warm water fish. 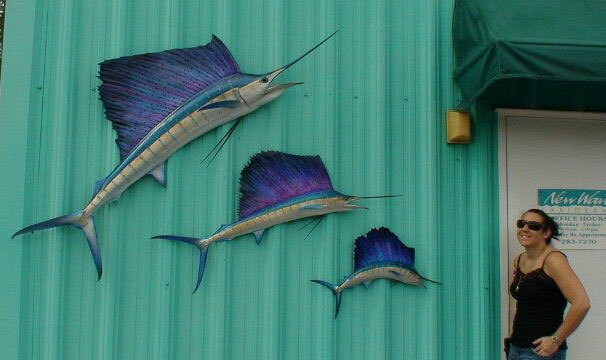 We see a lot of them here in South Florida. 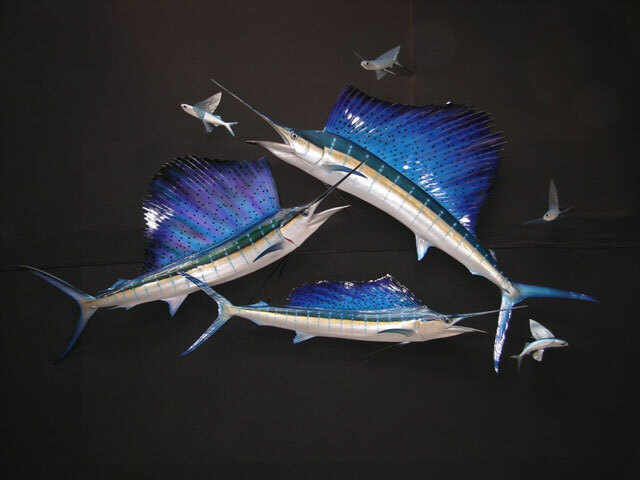 These fish are absolutely beautiful and one of our favorites to both catch and create at our facility in Stuart. 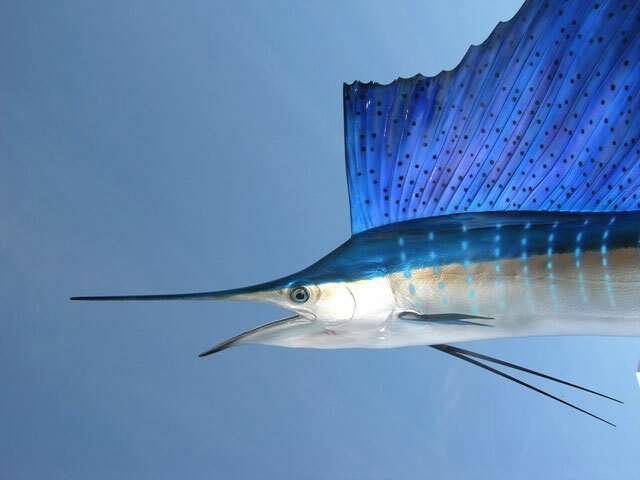 They can swim nearly 70 miles per hour, they are the fastest fish in the ocean. 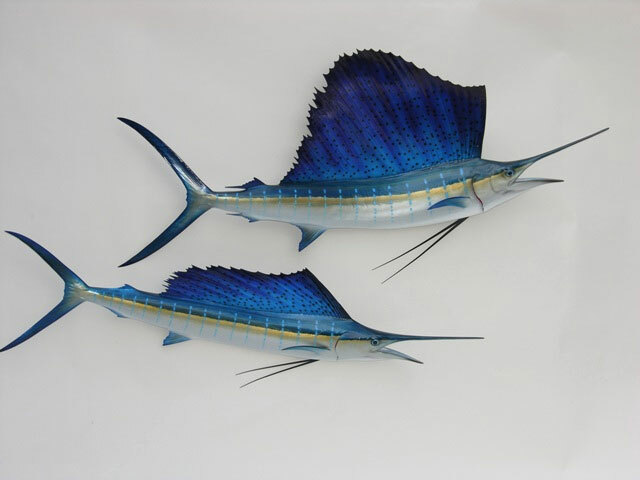 In their first year, they will grow extremely quickly and reach lengths between 4 and 5 feet. They live 4 years on average, they are not endangered and their population is considered stable. 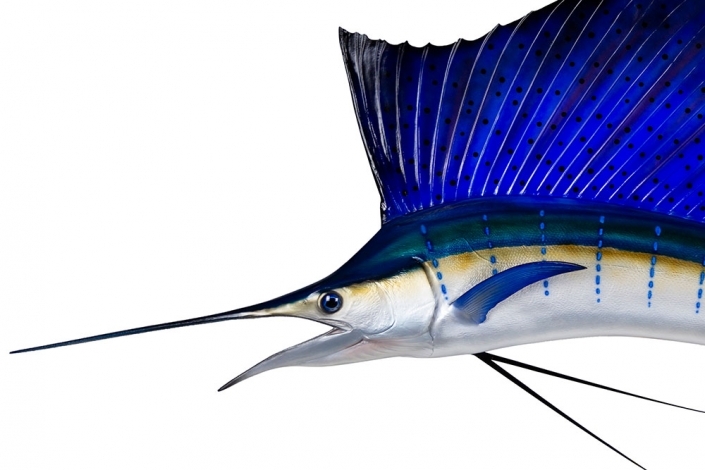 They can take hours to land, they usually put up a big fight and are known to both leap and dive repeatedly. 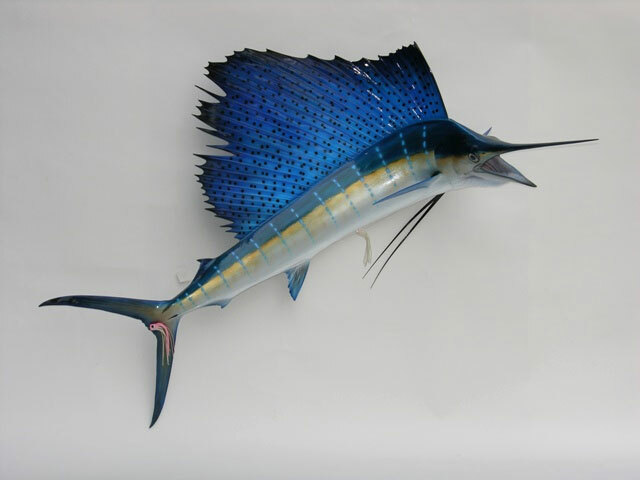 The world record Atlantic sailfish was caught in 2014 in Angola, it weighed 142 pounds 6 ounces and was 7 feet 3 inches long. 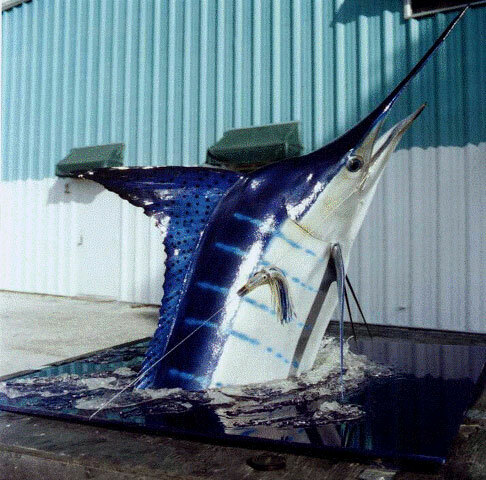 The world record Pacific sailfish was caught in 1947 in Ecuador, it weighed 221 pounds and was 12 feet 9 inches long.